Most of Rochelle’s family use the hospital emergency room as their family doctor. Many don’t have health insurance and wait until there is an emergency to go to the doctor. Rochelle’s children are covered by Medicaid; Rochelle is covered by a very basic city indigent care program. Texas only offers Medicaid to children, pregnant women, and the old or disabled; her mother has Medicaid due to disability. When Rochelle became full-time at her employment with the grocery store she was eligible for insurance coverage through them but chose to stay with the basic care provided to her free by the city. It is by no means similar to the insurance coverage she would have received had she opted in to her company’s insurance plan. 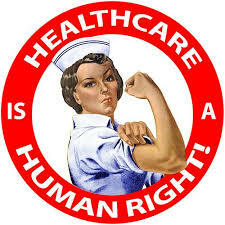 She is now making more money, but she is still in financial trouble because she has three children to support; she did not think she could afford the insurance and never researched whether or not The Affordable Health Care law would help with the payments. At 29 she also feels somewhat invincible and is content that her children are covered by Medicaid. Rochelle’s income is low enough so she won’t have to pay a penalty tax due to lack of insurance coverage, however. Her experience has simply been that one goes to the emergency room when one is sick and then, when one can’t afford to pay the bill, one just doesn’t. She never went to the doctor when she was pregnant with her first child. “I was in denial,” she told me. She first went to the doctor when she went into labor. Rochelle’s mother is a good example of what a lifetime of being without health care can do. She is 51 years old but looks 20 years older. She has been on dialysis for at least three years. “High blood pressure wrecked her kidneys,” Rochelle told me. Just recently she had to be taken to the emergency room due to heart palpitations and a pulse that was racing at 190 beats per minute. The emergency room treated her and released her; Rochelle thought her mother had a follow up appointment but was somewhat unsure. She wasn’t sure what had caused the problem. When Rochelle comes over for this week’s interview we will discuss the situation in more depth. She needs to see how she could be in her mother’s situation in twenty years if she doesn’t get involved in better health care. At age 29 she has borderline high blood pressure, is considerably overweight, and eats a very unhealthy diet. 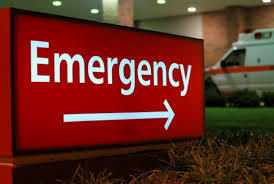 The emergency room does not provide basic health care, though the current governor of Texas is on record as saying that he considers it a reasonable health care solution for the poor.. And this is the norm for those living in the culture of poverty. Rochelle has started earning a little bit more money, but it is hard for her to understand the value of some of the options available to those who live outside of poverty. Perhaps if she recognizes she could be in her mother’s situation she will be more open to some of these options. On the other hand, it is understandably hard for someone who is finally beginning to experience a little economic leeway to tie it up in medical insurance she can’t really believe she needs. “I still can’t get health insurance,” Rochelle told me last week. I was surprised she knew about her lack of coverage by the Affordable Care Act, but it was on the list of things I was going to discuss with her that morning. I had already researched it and she was correct. Texas is a state that has opted out of increasing the coverage for Medicaid to include healthy, non-pregnant, young and middle aged women. Men aren’t covered at all until they become old or disabled in Texas, and they weren’t going to fare any better with the new act, either. Texas wasn’t expanding Medicaid at all under the Affordable Care Act, mostly known now as Obamacare. I remember being stunned a year ago when Rochelle had first told me she didn’t qualify for Medicaid. I thought she was just misinformed. No, I was misinformed. Eventually I found something that allows her clinic care and a physical once a year. It is far removed from health insurance but far better than nothing. Rochelle’s problem is that she is too poor, too healthy, and too young to be covered by the new law. Mostly she is too poor. It makes no sense at all, except if one lives in Texas, and 15 to 22 other states (depending on their final decisions), that is exactly the situation. If Rochelle were single and childless and making $10/hour she could sign up right away and be eligible for health care in January, 2014; but Rochelle is single, has three children, and makes $9.17/hour so she doesn’t qualify. The Affordable Care Act just assumed that states would increase their Medicaid coverage to include the people well below the federal government poverty line, if they were not already covered by it. The law didn’t prepare for states to reject the idea of increased Medicaid coverage. Texas has more uninsured people than any other state in the union, and it looks as if it will remain that way. I explained to Rochelle why it was that she wasn’t going to be covered by the law. She had voted twice for Barack Obama and was somewhat taken aback when she discovered the health care law wasn’t going to make any difference to her life. There will be quite a lot of people who are better off and able to get health care because of the new law; Rochelle won’t be one of them because Rick Perry, the governor of Texas, seems to have no understanding of poverty nor the cost to the state and the tax payers when those not covered by Medicaid use the emergency room as their family doctor. I explained all this to Rochelle. “Well, I heard he isn’t running again,” she said hopefully. No, he isn’t, but it is doubtful his most likely replacement will think differently. And so, again, Rochelle falls through the cracks, and there is no safety net for her. I find it totally astonishing. Rick Perry should be ashamed of himself.